As much as I love browsing Sephora, Ulta, and any drugstore in my area, I've come to the realization that I'm a complete bore when it comes to actually wearing makeup. It's pretty to look at, but ultimately I like doing just that most days - looking at it, and then proceeding to reach for easy neutral products that will get me ready in under ten minutes. I used to have fun with makeup, but now I prefer to enhance the features I like and just accept the ones I don't. I have a round face. That's a fact, deal with it. My brows are thinner than I'd like, my lashes are short, and I have a bump on my nose thanks to a dodgy game of dodgeball during elementary school. Instead of contouring myself to death, or spending money on lash extensions, I've come to terms that this is it! Quite possibly as good as it's gonna get. But, there is one product I've been using for months now that makes getting ready still somewhat enjoyable. I hope this mini review helps you too if you're trying to downsize and cut back on time. 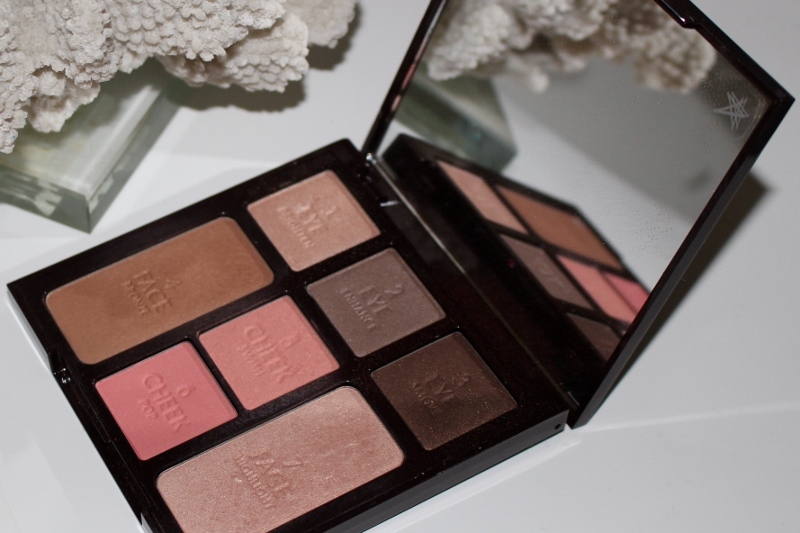 This is my foray into the Charlotte Tilbury line, and it definitely does not disappoint! I can understand why so many gurus love her products. I purchased this on sale during Nordstrom's anniversary back in the Summer, and I honestly have not used much of anything since. Everything you need is conveniently right here. Three neutral shadows, two VERY pigmented blushes (one peachy, one rose colored), a bronzer, and a beautiful natural looking highlighter that I slap on my eyes and cheeks. These colors are so universally flattering that I think many people will appreciate it. The powders are all smooth, pigmented, and long lasting. I'm tempted to try more from her line, especially her lipsticks but I'm holding back for now. If you're ever wondering what I'm wearing in my photos or on snap, it's this palette. Note - I checked Nordstrom's site and it's currently sold out. Darn! Not the best timing for this post, but I'm sure it'll come back in stock for the holidays. I linked to her website if you want to check out her other products. Most are dual purpose which is great! All this being said, there's nothing that looks better on women than a smile. Had to say it. Love that is has everything you need in one, so convenient! I don't have anything from Charlotte but I've heard only good things, I need to try out her stuff. This palette looks gorgeous. 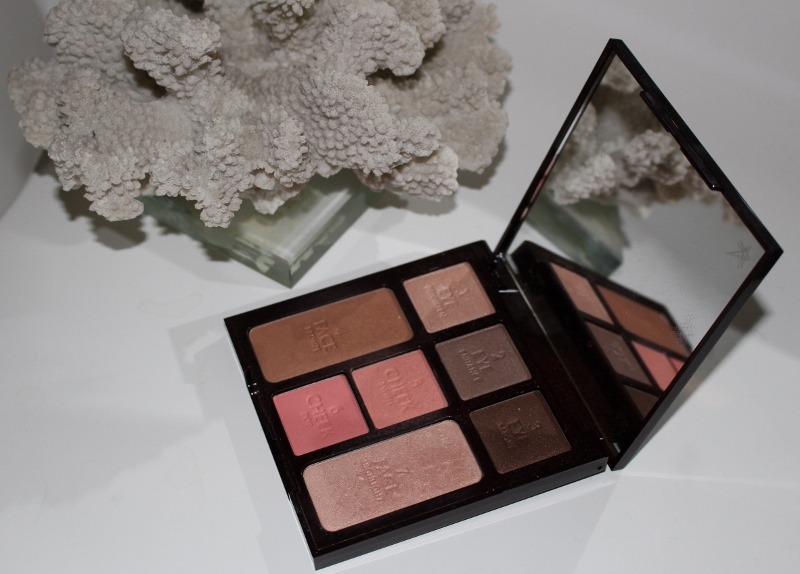 The colors in the palette do look very pretty and flattering! I also haven't tried anything from Charlotte but always hear great reviews from makeup pros! That is a pretty palette! Those are my type of colors. Like you, I am pretty low-key on an everyday basis about makeup. I like a multi-functional product. Will check it out. I have a couple of her lipsticks and love them. The colors in this palette are beautiful! I definitely need more CT in my life! I only have the foundation and cream. Those colours are just so beautiful! I think I've only tried CTs lip colours but her powders sound dreamy! There are lovely call girls which are working in a wide range and are looking forward to make it easier for you to get them.